There are different types of insulin depending on how quickly they work, when they peak, and how long they last. Insulin is available in different strengths; the most common is U-100. All insulin available in the United States is manufactured in a laboratory, but animal insulin can still be imported for personal use. Inside the pancreas, the hormone insulin is made in the beta cells, which are part of the Islets of Langerhans. These islets also have alpha cells, which make glucagon, as well as delta cells. With each meal, beta cells release insulin to help the body use or store the blood glucose it gets from food. In the beta cells, insulin is created first as a big molecule called “proinsulin.” Proinsulin is broken into two pieces: insulin and C-peptide. C-peptide is important especially when determining treatment because it can be used to measure how much insulin a person is making. The more C-peptide a person has, the more insulin they are making. This can help a provider determine how much insulin to prescribe. In people with type 1 diabetes, the pancreas no longer makes insulin. The beta cells have been destroyed and they need insulin shots to use glucose from meals. People with type 2 diabetes make insulin, but their bodies don't respond well to it. Some people with type 2 diabetes need diabetes pills or insulin shots to help their bodies use glucose for energy. Insulin cannot be taken as a pill because it would be broken down during digestion just like the protein in food. It must be injected into the fat under your skin for it to get into your blood. In some rare cases insulin can lead to an allergic reaction at the injection site. Talk to your doctor if you believe you may be experiencing a reaction. Premixed insulin can be helpful for people who have trouble drawing up insulin out of two bottles and reading the correct directions and dosages. It is also useful for those who have poor eyesight or dexterity and is convenient for people whose diabetes has been stabilized on this combination. In 2015 an inhaled insulin product, Afrezza, became available in the U.S. Afrezza is a rapid-acting inhaled insulin that is administered at the beginning of each meal and can be used by adults with type 1 or type 2 diabetes. Afrezza is not a substitute for long-acting insulin. Afrezza must be used in combination with injectable long-acting insulin in patients with type 1 diabetes and in type 2 patients who use long-acting insulin. 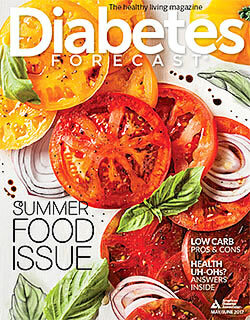 Read the Diabetes Forecast article Insulin Innovations - New forms of insulin at your pharmacy and on the horizon. Onset is the length of time before insulin reaches the bloodstream and begins lowering blood glucose. Peaktime is the time during which insulin is at maximum strength in terms of lowering blood glucose. Duration is how long insulin continues to lower blood glucose. All insulins come dissolved or suspended in liquids. The standard and most commonly used strength in the United States today is U-100, which means it has 100 units of insulin per milliliter of fluid, though U-500 insulin is available for patients who are extremely insulin resistant. U-40, which has 40 units of insulin per milliliter of fluid, has generally been phased out around the world, but it is possible that it could still be found in some places (and U-40 insulin is still used in veterinary care). If you're traveling outside of the U.S., be certain to match your insulin strength with the correct size syringe.